At least one person has been killed and three others critically injured after being struck by a car in Queens, New York City, early morning Sunday, AP reports citing police. The driver "targeted" the victims around 4:45am local time, authorities said. They added that the suspected attacker fled the scene; the search for the driver is ongoing. 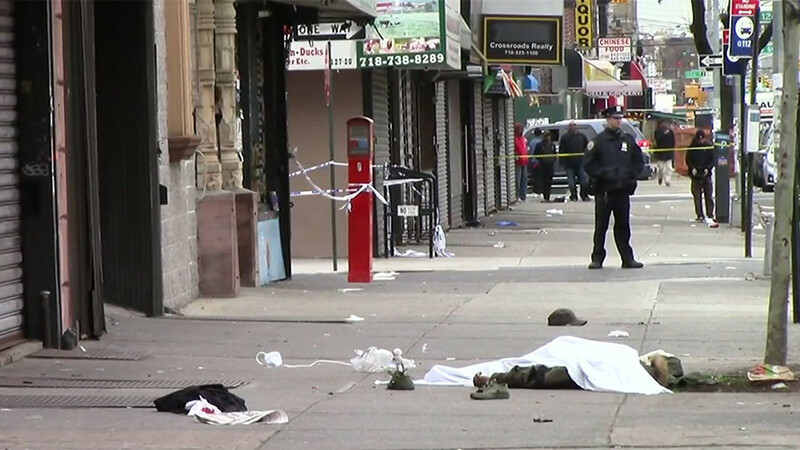 At least six persons were struck by a car and two stabbed in the incident, New York Police Department reported on Twitter. One person, apparently not the driver, is in custody. “The bodies went flying. The car was going really fast, at least 50 mph on the sidewalk,” a witness identified as Rogers said. He added he saw a woman yelling “stop” as she tried to hold back someone fighting on the scene before the car rammed into the whole group.